Since having shared this pathetic fruit basket the other day, I decided I needed to take another picture on a 'good fruit' day and save face. Chuckling at your dog commentary. Great photos. Have a wonderful WW! Cute doggie! Mine are like that, too. They give cats a bad rap! I'm visiting today from Mingle Monday. I'm following you and would luv a follow back! Join me for Link Up Parties on Tuesay and Sunday. That's pretty awesome about your youngest! And I always end up using Chocolate bunnies or santas for recipes when I'm low on chocolate too! That poor bunny! 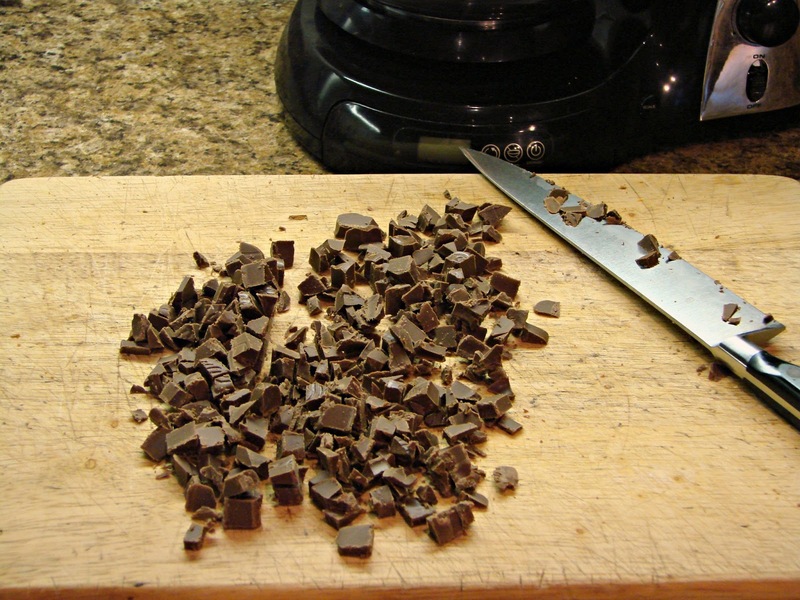 All of that chocolaty carnage on your cutting board! :-) Great pictures! Great photos Jenn. I especially like the hacked up bunny! Those fruits look good! Cute dog. 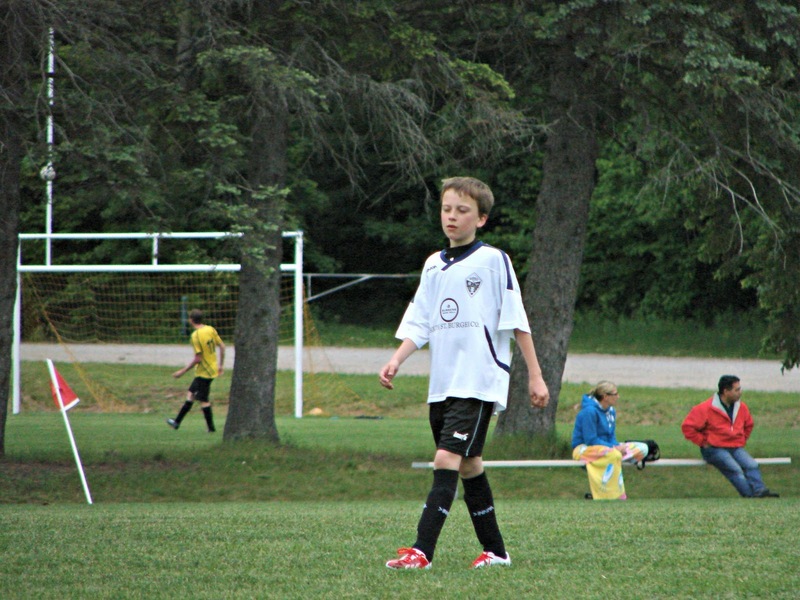 All the best to your sons in their soccer games. I am a soccer fan. Happy WW! LOL. Your commentary is funny! Poor bunny. But yum for the food! And lol on the yellow card! I hope you will link up with me at A Room for Two with a View Wordless Wednesday. The fruit basket looks scrumptious. That fruit looks so good! Great Pics! Thank you for spreading JOY and sharing at the Oh What a HAPPY Day party. 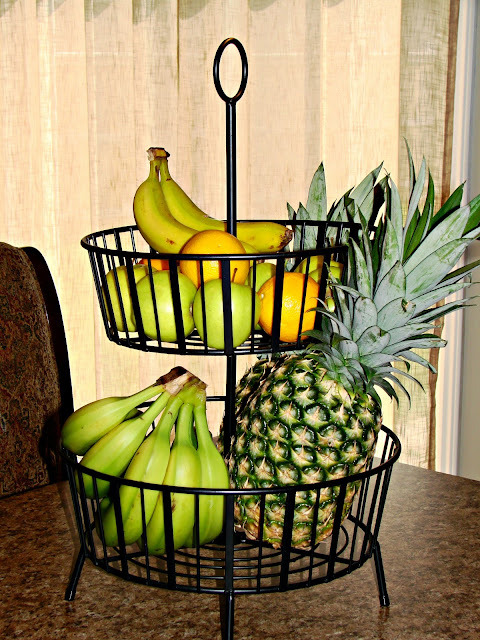 That's a great looking fruit basket. I'd like to see the dog's face. He looks similar to one of my babies. Yayy, you redeemed yourself...the fruit look beautiful!! 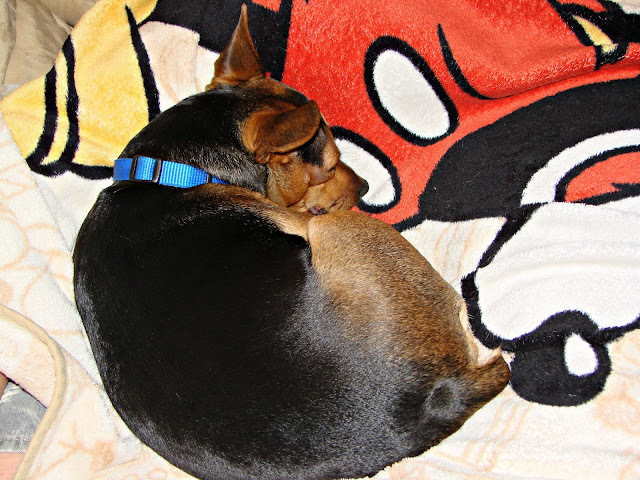 :-) Thanks for stopping by and linking up...have a wonderful evening Jenn! Your dog is cute. My older daughter also plays soccer. Over here it's simply called football. American football is not very big here. Oh my goodness, you gave me my laugh for the day! The bunny is in a better place! Hopefully in your tummy! These are great! love your comments! That is one wonderful fruit basket! That yellow card photo could have been very useful in coming years. Oh poor chocolate bunny! At least he was turned into something delicious. I laughed at you breaking up the chocolate bunny. Similar thing happened to me when baking yesterday and discovered I was out of icing sugar. So I spent ages grinding up castor sugar with a pestle and mortar. I have a lazy dog too. Sometimes I have to check to see if he is breathing... Hahha. Ha ha, much better with the fruit! I'll have to try that bread recipe below, I'm still chugging away at my giant bag of quinoa from Costco! Great pics! Thanks so much for sharing it at Diana Rambles!! I love the doggy photo! Hilarious commentary, too!